Zwanze Day has finally arrived! Cantillon’s Zwanze Day is finally here! “When we started renovation works in the cellars of the brewery two years ago, much to our surprise we came upon the remains of some very old walls. In agreement with the medievalists of the city of Brussels, the works were stopped in order to allow archaeological excavations to take place. Shortly thereafter we were astonished to find out that Cantillon brewery had in fact been built on the ruins of the very ancient Abbey of Cureghem! According to the medievalists, this religious community was well-known during the middle ages for its fowl fed on draff and, more specifically, for its dish of stuffed Cureghem capon, which was served with a beer brewed at the abbey and apparently drew pilgrims from all over Europe. Yet it was truly a heavenly surprise when the excavations uncovered the cell of the abbot, Father Faro. In the small room the archaeologists found quite a few old reference books, one of which contained the original recipes for the beers brewed at the abbey several hundred years ago. We didn’t hesitate for a second and decided on the spot to recreate one of these mythical beers. This beer, which will be our Zwanze for 2013, therefore bears the name of its illustrious place of origin, Abbaye de Cureghem (Cureghem Abbey). Cureghem was formerly a village established many centuries ago on the banks of the Senne, the river running through present-day Brussels. The area was very heavily industrialised during the 19th century and, among other things, became home to many breweries. Today, it is part of the municipality of Anderlecht. Since beers commonly referred to as “abbey beers” are not, or not any longer, products of spontaneous fermentation, we decided to brew a top fermentation beer, from a technical point of view in any case. The yeasts were selected in collaboration with Institut Meurice, a post-secondary college in Brussels specialising in biotechnology. Brewed in March 2012, our “Cureghem” beer fermented four weeks in stainless steel tanks before being blended with 10% lambic and pumped into 400-litre barrels of various origins. After maturing for six months, the beers were blended and put into casks or bottles to undergo re-fermentation and reach 7.2% ABV (Alcohol by Volume). Inevitably, a top fermentation beer brewed in a spontaneous fermentation environment will be affected by the wild yeasts in the air, and this is certainly what happened in our case. For our Cureghem, the cultured yeasts were clearly the main factor behind primary fermentation and I think that the wild yeasts in the beer will instead play an increasingly important role as the product ages. 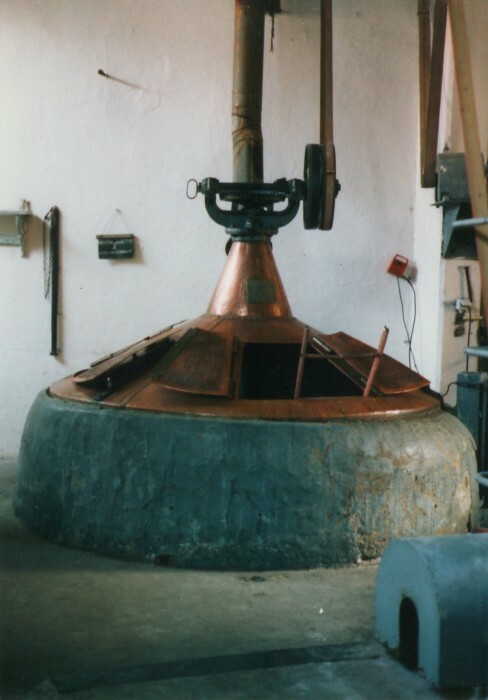 However, despite the addition of the lambic to give it a little “extra something” in terms of character and ageing characteristics, this Zwanze cannot in any case be considered a spontaneous fermentation beer. The long fermentation period coupled with the presence of wild yeasts lends this beer a solid character with a dry finish that lingers on the palate, while the combined use of fresh and aged hops yields both freshness and bitterness. Moreover, the different malts used give this year’s Zwanze a coppery colour along with a touch of caramel and candied fruit that provide body. Clearly, this is not your standard “abbey” beer but, perhaps, it is representative of what these beers were one or two hundred years ago. I would also like to remind you, dear friends, that in Brussels dialect “zwanze” is the word used to refer to a type of semi-sarcastic humour typical of our lovely city of Brussels that one often encounters at Cantillon Brewery. So please bear in mind that the monastically-tinged story behind Zwanze 2013 is also a bit of an allusion to abbey beers and the related legends propagated by numerous breweries. Events will be held on September 14th in 46 bars around the world, 22 of which are here in the United States. In honor of Cantillon’s Abbaye de Cureghem, here is a short video about Cantillon.